Find local music services in Bristol, such as recording studios and music shops. Our business listings offer information on local music services in your region. Quickly find what you’re looking for using our comprehensive search. Whether you’re after a new guitar shop, recording facility or a woodwind repairer, you can find them here at Musician Go. Are you a business owner? Add your business to Musician Go for free here. 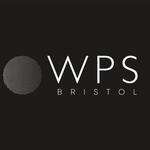 WPS (Westleigh Park Studio) is a Mixing, Mastering and Vocal Recording Studio based in Bristol, UK. All rates include an engineer. If you just want to put down a couple of tracks, record a demo, an EP or album, you can book the perfect package for you. We've been on the corner of Stokes Croft in Bristol since 1903. With our vast array of instruments and accessories we cater for all of your musical needs.